I completed a milestone on the Arizona Trail, essentially riding all the bike legal portions of the trail from Mexico to Utah. I thought it would be cool to put together a comprehensive post on all the passages my tires have rolled on. 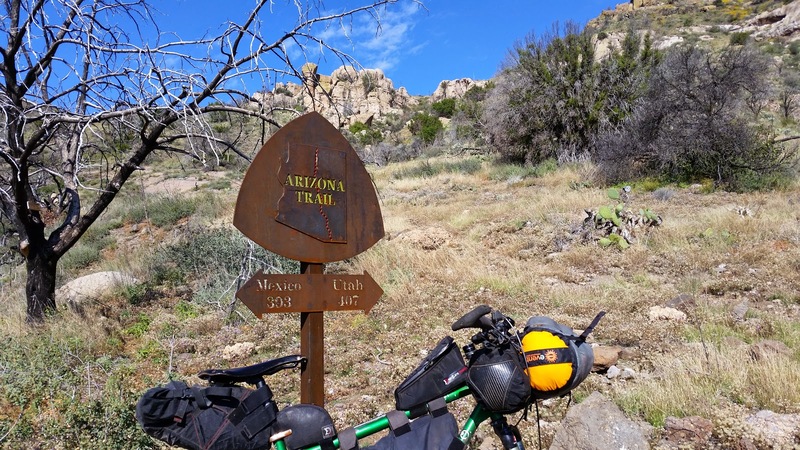 This is by no means a substitute for the AZT guidebook, just my thoughts on the trail. Please consider becoming a member of the ATA, make a donation and/or pick up a guidebook if you see more AZT miles in your future as it provides a more in depth look at each passage. Also, while out on the trail, the AZT app is a great resource as well. If bikepacking is in your plans, this water table may come in handy too. Mountain Biking the Arizona Trail. There are a few passages exclusively in Wilderness, where bikes are not allowed, so I’ll be skipping those. A few more are partially in Wilderness, but have some bike legal miles to ride, some are worth it, and some are not. Hopefully this will give prospective riders an idea of what to expect out there. I’ll add blog links for more detail & images of the described passages; some are bikepacking rides where more than one passage was ridden. This doesn’t mean it’s the only way to explore certain passages, as most, if not all, can be done as day rides in some fashion. 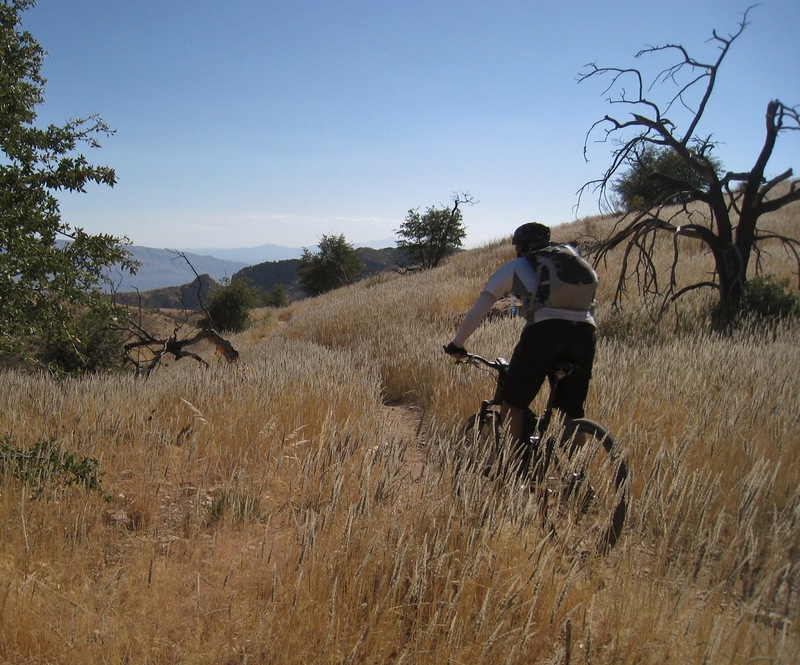 It is mostly Wilderness, but there is a short section at the north end in Sunnyside Canyon that can be ridden. 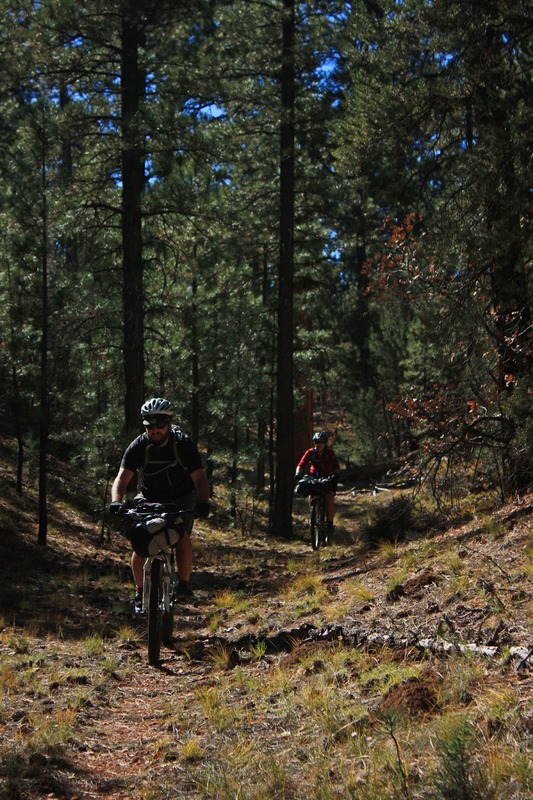 A short loop using forest roads can be made to access the AZT and the first miles of singletrack! This passage begins at Parker Canyon Lake, which also happens to be the starting line for the AZT300. This passage is tough; expect to HAB a few of the hills. It’s also a great ride if you’re prepared. Too often people expect dreamy singletrack down here, there’s some, but you definitely work for the miles on the east passage. Beginning at Canelo Pass rd the change from east to west is almost immediately seen. 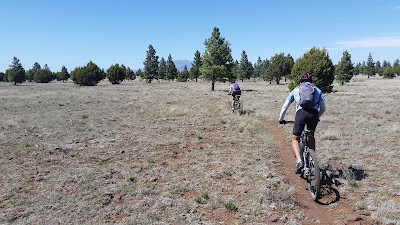 The west half of the Canelos rides much better than the east offering more stretches of singletrack through the rolling hills. Re-supply waits at the end of this passage in Patagonia. Unfortunately there’s a sliver of Wilderness about 2/3 the way through this passage. 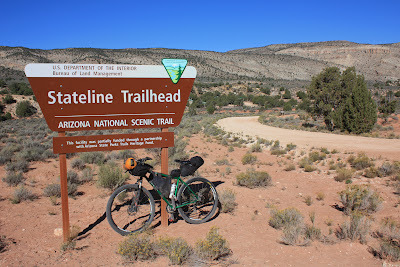 I rode the southern leg of this recently and I’m glad I did as it was incredibly scenic, remote, but mostly on jeep road that became unrideably steep near the Wilderness boundary. I probably won’t ride this section again since it’s an out-n-back, but I wouldn’t tell others to avoid it either. 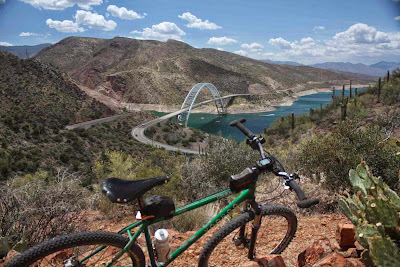 The return ride down to Patagonia is rippin’ fast! The northern few miles are really good as you exit Gardner Canyon onto the Flume trail. 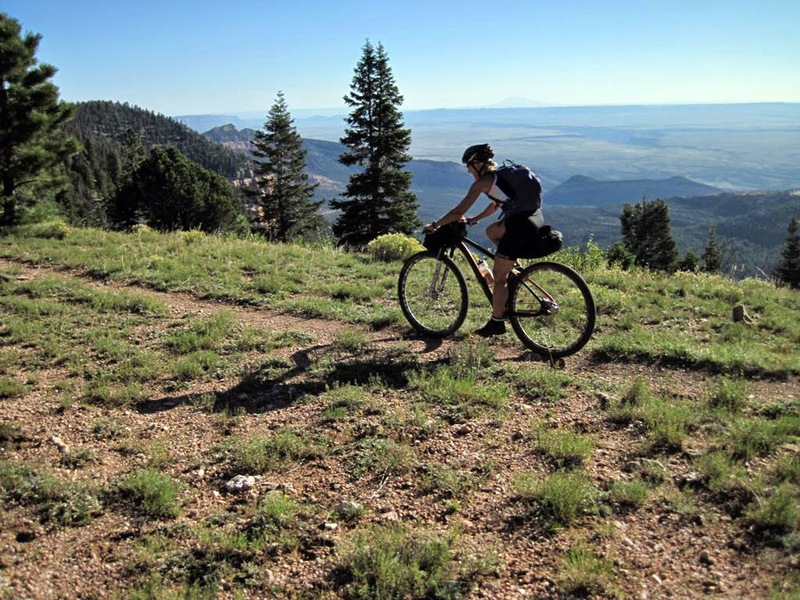 Even the short 1 ½ mile out-and-back (OnB) south to the Wilderness boundary is worth doing. 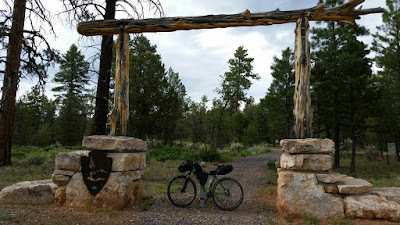 The AES Kentucky Camp long route utilizes this section of the AZT northbound including all of passage 5 and a few miles of passage 6. When people talk about riding Kentucky Camp, this is the passage they are referring to. Mostly tall grass lined singletrack through rolling hills. This passage should be on your ‘must ride’ list. There are a few short HAB bits and some decent hills to climb, but the reward is always worth the effort. 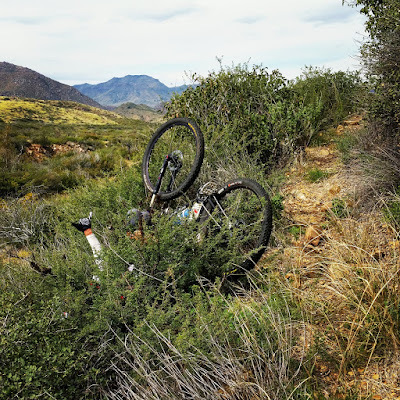 More grass lined singletrack waits, but this time the hills get a bit nastier. 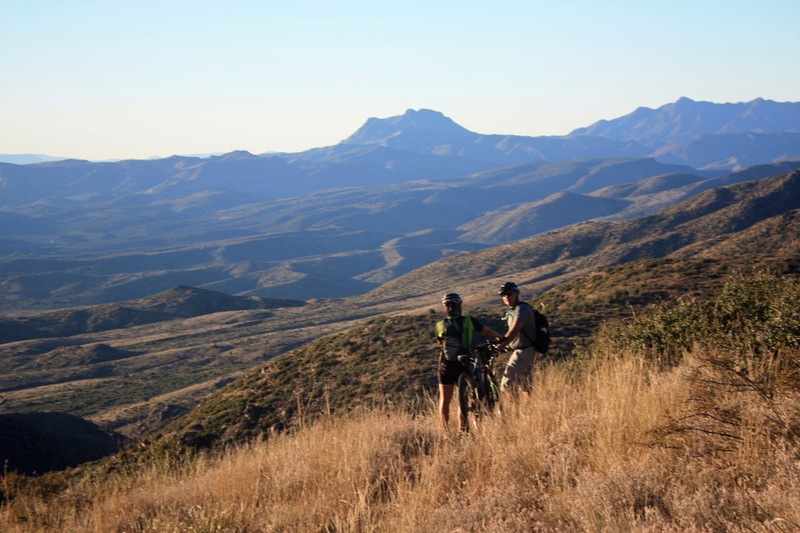 Fun downhills, great views and grunt climbs are the norm throughout most of this passage. The annual AZT jamboree fundraiser begins here for the earlybird shuttle riders. The foothills of the Santa Ritas mellow out and the singletrack begs for speed. This entire passage is a hoot as it rolls gently downhill most of the way crossing under SR83 & I-10 to the Gabe Zimmerman TH. This would make an easy, fun OnB starting at GZ. This passage dips down to Cienega Creek at the start, but this is easily bypassed by staying up on the bridge. Plenty of recent trailwork has made the creek crossing less of a hassle, I recommend checking it out. 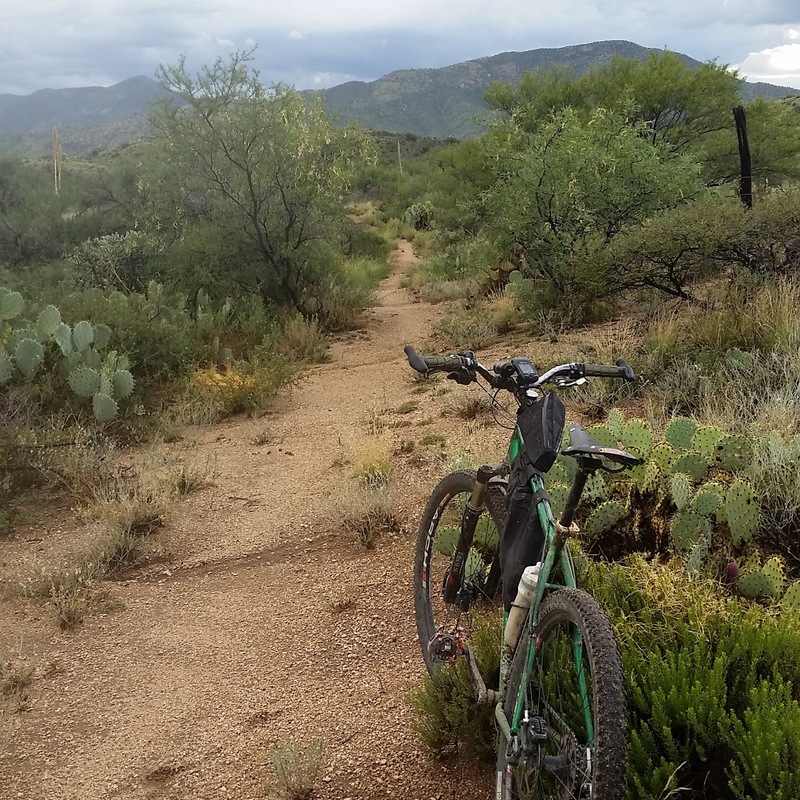 The trail contours and throws some technical bits at you on its way towards Colossal Cave. 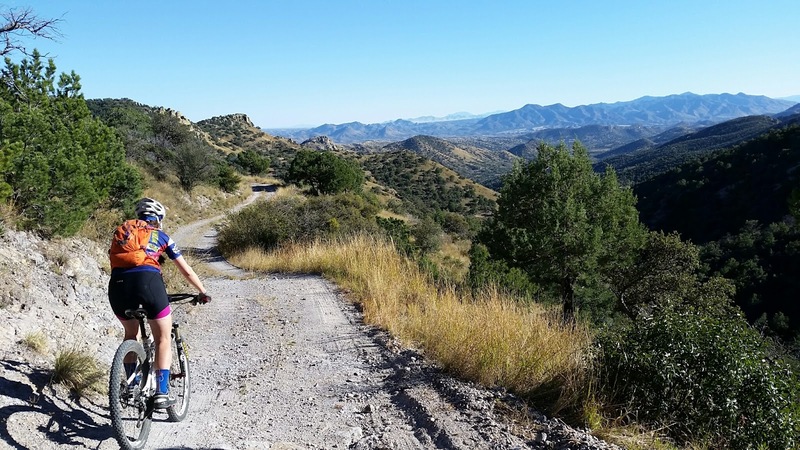 La Posta Quemada ranch can be seen on a big switchback descent before the campground, where a short ¼ mile detour will lead you to water & restrooms if needed. 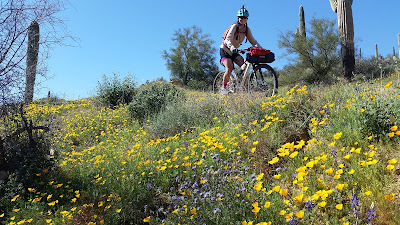 After the campground the trail has a few tech challenges then becomes fast twisting singletrack through the Pistol Hill TH and on to Hope Camp and the boundary of Saguaro National Park. This passage is almost all in Wilderness except for a ½ mile jeep road connector out of Hope Camp. The bike riding resumes up on top of Redington rd near the Italian Trap area. This passage is open to bikes in its entirety, but is sandwiched between two Wilderness areas. Thankfully there’s a popular loop that incorporates most of it before peeling off onto the La Milagrosa trail. This passage has a little bit of everything: buff singletrack, techy descents, wicked HAB, lung busting climbs and views for days. Personally, I think this passage is underrated. **Bypass route: 11a - Pusch Ridge Wilderness Bypass** uses the famed Lemmon Drop route. Best done as a shuttle in the downhill, southbound, direction, but be warned: there’s still over 4000’ of climbing on the way down!! Ah yes, the infamous Oracle Ridge trail. Yes, it’s tough. Yes, there’s plenty of HAB and yes, there are other ways down the north side of Mt. Lemmon. 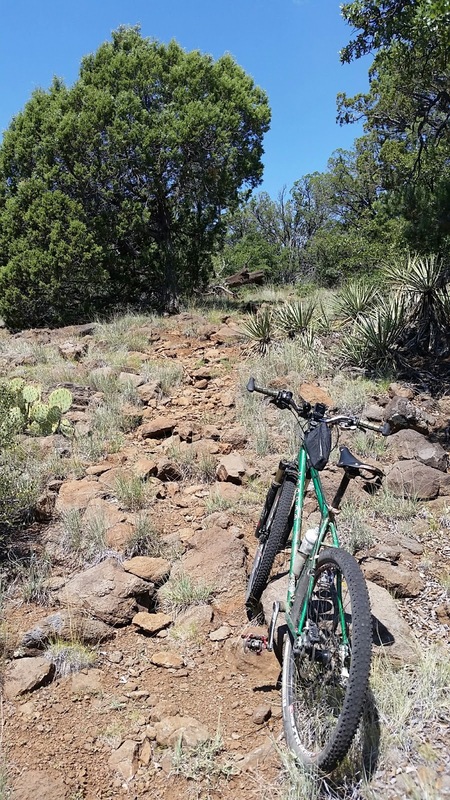 There are a few hearty souls who like to ride this outside of the AZT300/750, but there are better options for getting down the mountain. I didn’t think it was as bad as the hype led me to believe, but others may disagree. It is what it is: a means to an end. This is the shortest passage at a mere 8.3 miles. Don’t let that discourage you from riding it. It’s super fun and can be looped with trails in Oracle State Park (when open) or some dirt roads in the area. Overall, I feel this passage rides better northbound, but it’s tough either way. It begins at Tiger Mine TH kicking off a lonely, rugged swath of trail all the way to Picketpost. 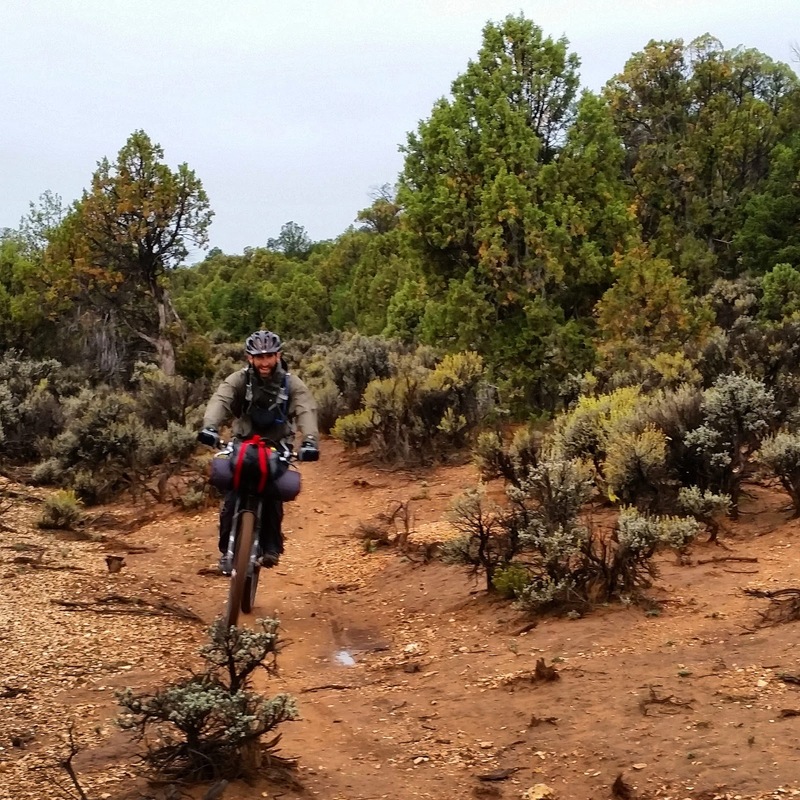 These next few passages aren’t for the novice or unprepared backcountry rider. Make no mistake the Black Hills are strenuous. Expect plenty of ups & downs over rugged, loose rocky terrain. The view of distant Antelope Peak never seems to change even as the miles tick away. The AES Antelope Peak Challenge uses this entire passage for its January event. This passage is a Yin Yang ride beginning at the Freeman rd TH cruising along the smooth Boulders segment for 11 miles. 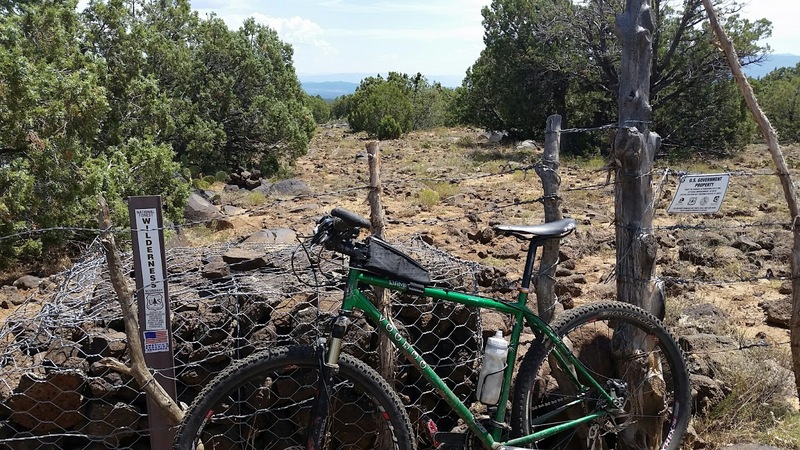 A short stint below humming powerlines brings you to a seldom ridden bit of singletrack & jeep road. Depending on the season, the trail may be difficult to follow in places. The trail eventually goes through a gate at the top of a crest and begins a descent down into Ripsey wash. 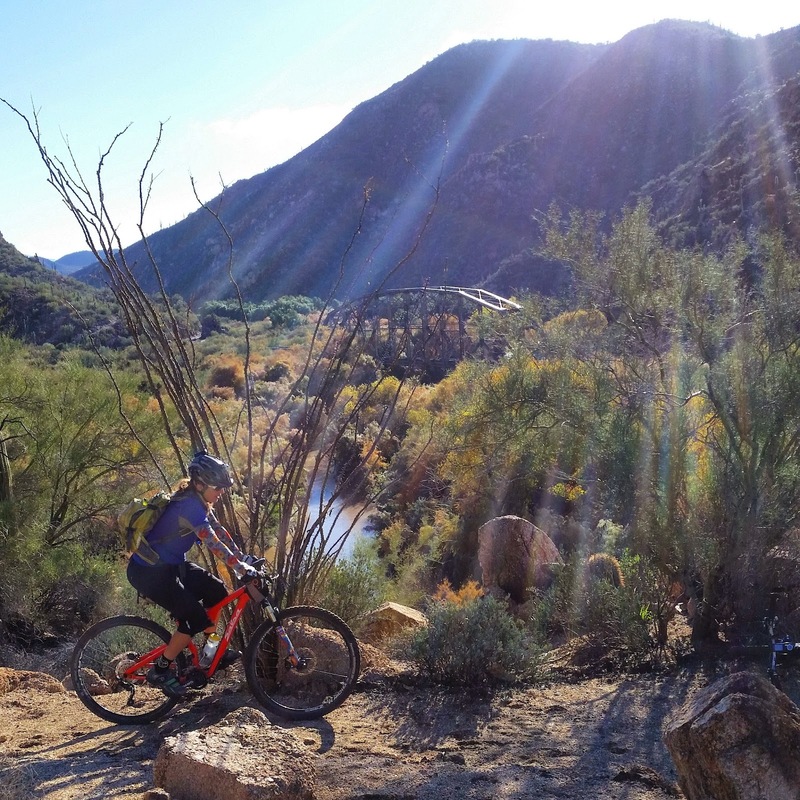 The trail may be overgrown at times and there are plenty of wash crossings. If it hasn’t rained in a while there may be a ½ mile HAB up a sandy wash before rejoining the singletrack. There is a gate at the end of the wash signaling the ascent up The Big Hill. A few steep grunts are waiting along with over a dozen tight switchbacks to the top. The famed Ripsey ridgeline will greet you at the top, take a moment to soak it all in, then begin the 5+ mile white knuckle descent down to the Kelvin TH. High five your buddies at the finish as you just completed an iconic AZ ride. This is my favorite passage of the entire AZT. 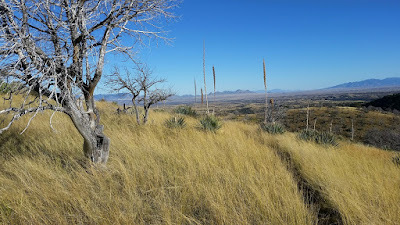 It is often ridden in conjunction with passage 17: Alamo Canyon from the Picketpost TH. I think it rides equally well in either direction, but most tend to favor a southbound direction so they can enjoy the 7 mile 2000’ descent to the Gila River out of Martinez Canyon. 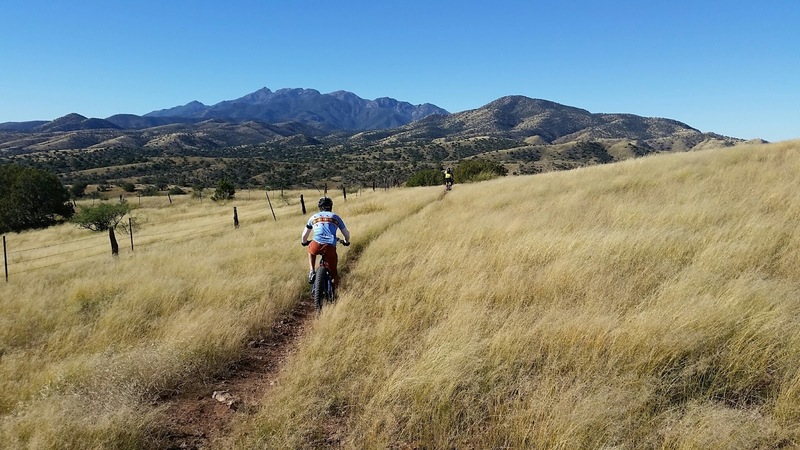 Don’t overlook the 16 miles of trail along the Gila, its sneaky tough with more climbs than people realize. The Gila River can be filtered for drinking. 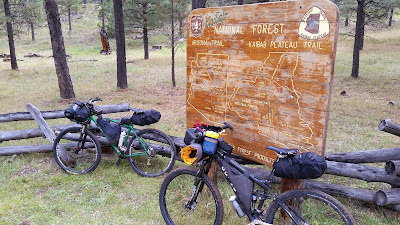 The easiest way to access the river is where the AZT turns north to begin the climb up to Martinez. Turn south away from the climb, and then veer right onto a 4x4 trail for about 100 yards. There will be an obvious opening in the trees, where during low water times OHV’s can drive across the river. The trail is superbly constructed through here offering unparalleled views into the ruggedness of Arizona. I like the fact that there is no easy way into Martinez Canyon, those who have been there, earned it. Aka: Picketpost. This is the easiest trailhead access to metro Phoenix and it happens to be one of the best IMO. This passage is great to ride southbound all the way to Kelvin or equally as good as an OnB ride to suit your fitness levels. The trail generally climbs as it goes southbound over the first 10 miles offering progressively better viewpoints along the way. Three in particular are at miles 5.5, 10 & 12.5. 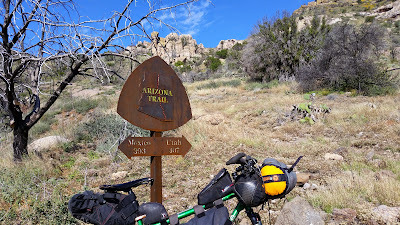 After 12.5 you are now in passage 16: Gila River Canyons. There is no water on this segment outside of a stagnant hidden trough of chocolate milk looking water. Plan accordingly. 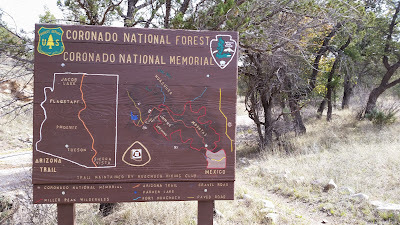 This passage tends to get overshadowed by Alamo Canyon and for good reason, but just because 95% or more of riders head south from Picketpost don’t overlook this one. This passage is open to bikes in its entirety all the way north to Rogers Trough. I prefer riding the adjacent forest roads to the top of Montana Mtn. where the AZT turns back into singletrack for a scenic, rugged, yet rideable descent. There are two approaches to this ride, go east up the mountain on FR8/FR650 or take the more picturesque route up the west side on FR172. The AES Picketpost Punisher routes (B & C options) utilize both routes depending on distance desired. A good chunk of this passage is indeed in Wilderness, but not all of it. I tried making a loop from the Roosevelt bridge and in the end it just wasn’t worth the effort. Way too much gnarly HAB both up & down and virtually no rideable singletrack. I did manage one really cool photo, but that was about it. Avoid this passage with a bike!! Every once in a while an exploratory ride goes well above perceived expectations. This was one of those rides. The down side: it’s tucked in between two Wilderness areas, it isn’t super long and it’s a bit out of the way. With all that noted, it is totally worth doing especially if you’re in the Roosevelt Lake area. This passage is best done as a CCW loop from either the scenic overlook of Roosevelt Dam or the small parking area off AZ188 on the west side of the bridge. Ride west on AZ188 to FR429. 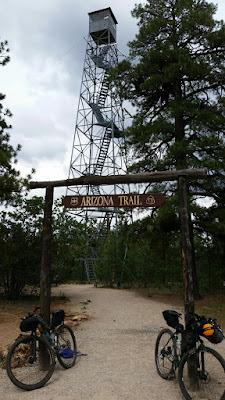 Follow this up to the Mills Ridge TH where the AZT crosses. 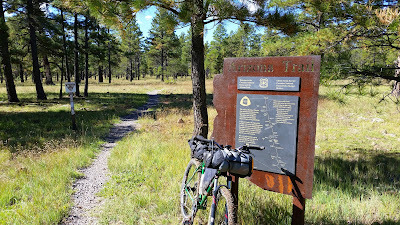 The OnB up to the Wilderness boundary isn’t great for bikes, but the downhill back to AZ188 is fantastic. There is one chunky HAB and some tech riding in spots, but otherwise the trail is in good shape. The views are unmatched in this area. This is another relatively unknown passage that is fully open to bikes. This trail trends downhill in the northbound (recommended) direction with a little over half of it on jeep road. Again, this passage is bookended by Wilderness, but a couple of CW loop options exist. Both options begin/end in Sunflower at the Bushnell Tanks turnoff. 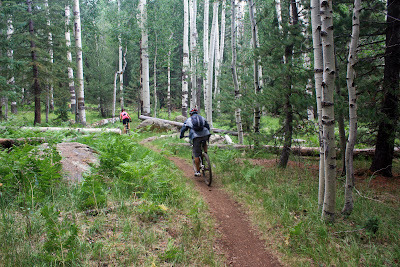 For a big one day ride, head up Reno Pass on FR22 – embrace the bits of HAB as a long downhill into the Tonto Basin calls. 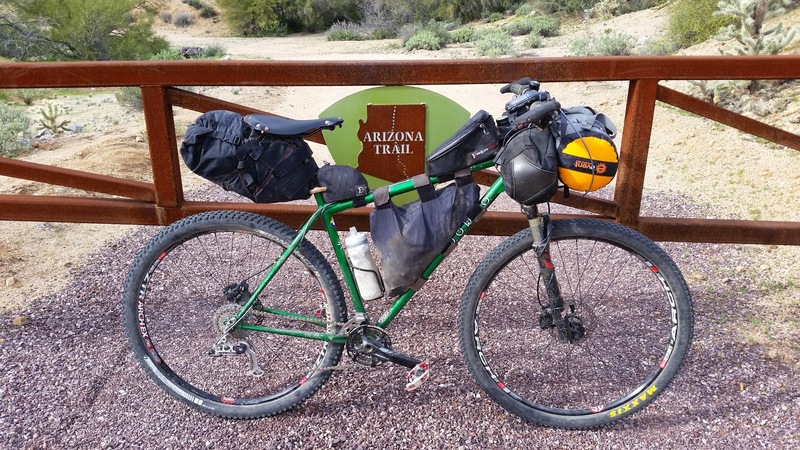 Ride a series of dirt roads paralleling AZ188 to the north over to El Oso rd. This is a graded dirt road climb, but make no mistake, it’s an 8+ mile lung buster. 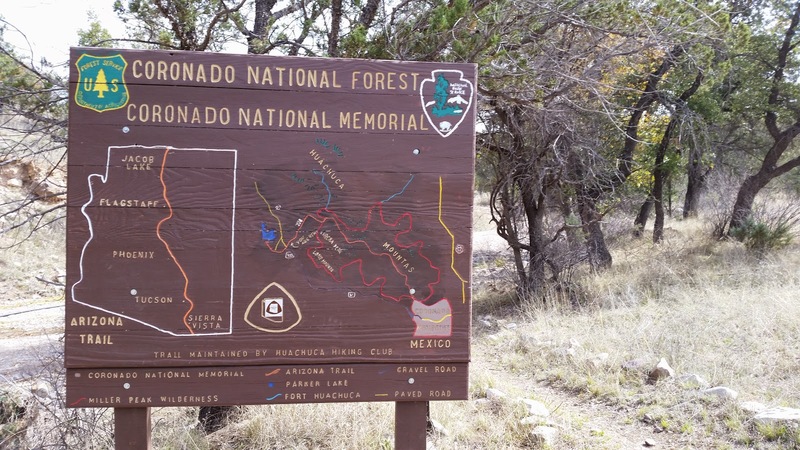 At the top, just past the towers, you’ll link up to the AZT on an undulating ridge top jeep road. This road gives a unique viewpoint, Tonto Basin to the north and the Valley of the Sun to the south. The singletrack split has an ominous beginning as it HAB’s up from the road. The 8 miles back to Sunflower are on what I would classify as primitive trail. It’s almost all rideable, but there are numerous crossings of Boulder Creek which not only require dismounts, but some route finding at times too. (I’ll discuss the other ride option in passage 22) This passage is one of the toughest to follow as the cairns are often buried in tall grass and some of the carsonite signs are knocked down or missing. GPS is highly encouraged for this passage! This passage has also received some much needed trail work recently, so things are improving. This passage only has about 5 miles of bike worthy trail, but that’s ok as it can be used for a bigger loop. From the Bushnell Tank turnoff in Sunflower follow the trail north for about 5 miles, this leads to a connector trail that will dump out onto the old Beeline Hwy. 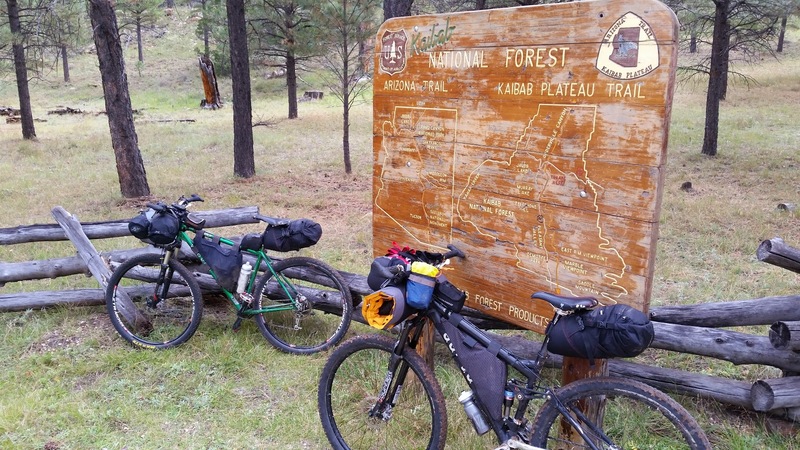 This leads up to FR201, climb away to the pines where you can ride the Gold Ridge trail down to the Deer Creek TH. Pick up AZ188 and continue into Tonto Basin. Finish the loop off as described in passage 21 for a scenic, tough, 2-day bikepack. Another option for this passage would be to use it as a staging / warmup spin prior to climbing Mt. Ord. This passage has a considerable amount of Wilderness. The rest is open to bikes, but that doesn’t mean you should take one on it. The first few miles southbound from the Pine TH aren’t too bad, hopefully the folks in the Pine area improve this section of AZT down to Oak Spring where it meets the ill fated Walnut Trail. 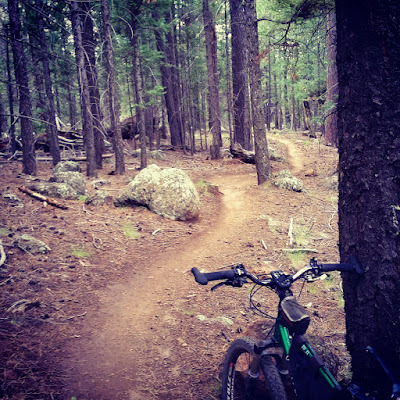 If these two sections are improved there will be a really nice loop around the town of Pine utilizing the Pine Canyon, Bearfoot & Pine-Strawberry trails. If you decide to ride this section of trail it may be best to do the Town Loop CCW so most of the Walnut trail is downhill. 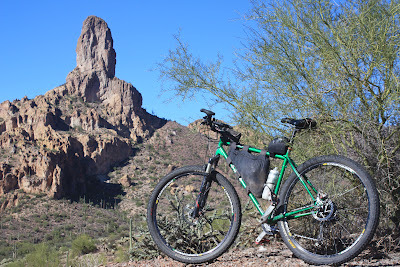 By itself I wouldn’t really recommend the AZT for a bike ride through here. Over the years the Highline trail out of Pine has developed a notorious reputation for sucking from AZTR750 riders. Fortunately, there’s an ongoing project from VOAZ to improve the Highline over its entire 50 mile length. Quite a bit of it has been completed already, but most of that work is on the section of trail far to the east of where it overlaps with the AZT. Those 18 miles are still rugged in places, but the signs of recent trailwork are evident. 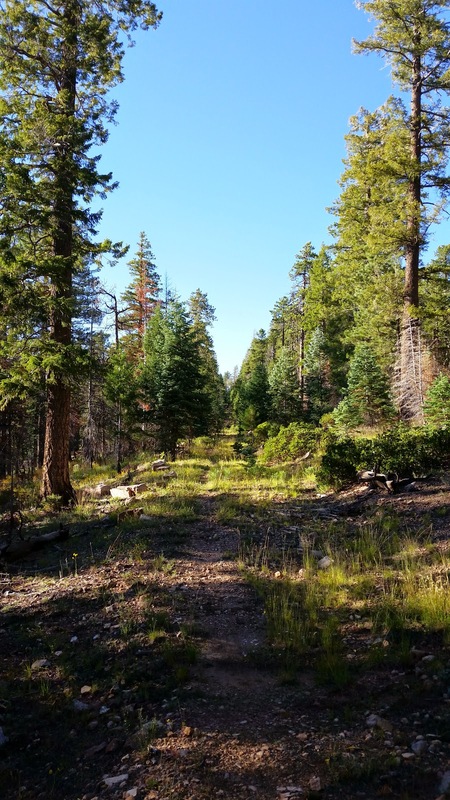 Most recently, a re-route of a fall-line section of trail out of the Pine TH has been replaced with arcing switchbacks on a bike friendly grade. While this trail is showing significant signs of improvement, I’d hold off on riding the AZT portion towards Washington Park. I’m guessing about 9 of those 18 miles may be HAB. HAB. Just gotta accept it on this one, but don’t let it deter you from riding this passage. Most riders will find two substantial HAB’s in each direction, about 10-15 minutes on one & 20-25 on the hike in/out of the reservoir drainage. The rest of the passage is great. There is plenty of good singletrack, fast forest roads, a bit of history and if you’re lucky handlebar high ferns. This can be done as an OnB ride from where the AZT crosses AZ87 or can be done as a loop in conjunction with FR300 (rim rd.) and a slew of other dirt roads in the area. This passage Is a bit of a mixed bag. 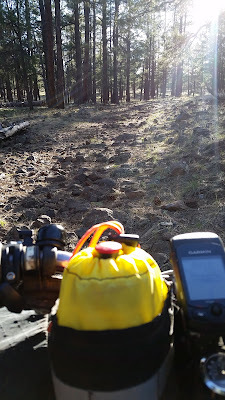 Some really good remote forest singletrack and some really crappy lava rock covered jeep road. 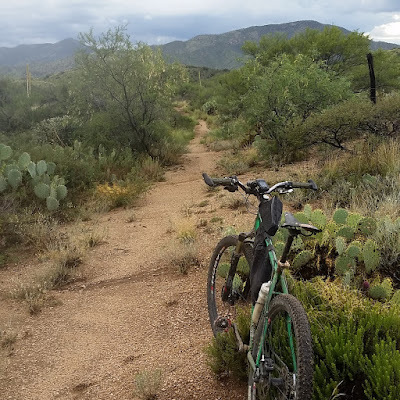 Again, this can be done as an OnB type of ride or make a loop with the plethora of dirt roads available starting at the AZT crossing of AZ87 north of Clints Well. 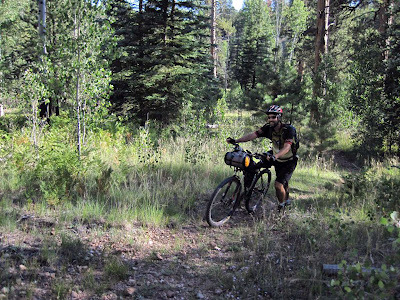 Most of this passage heading north is great contoured forested singletrack as you work your way around the western flank of Mormon Lake. 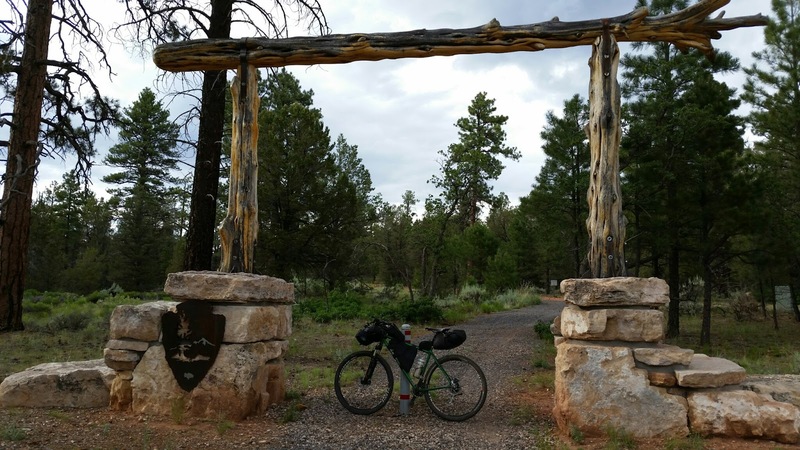 *Re-supply is available down at the Mormon Lake general store, there’s also a pizza joint there too* Access can be via singletrack on the Navajo Springs trail, ~1 mile, at the signed junction. The passage begins with a fast section coming off the flanks of Mormon Mtn. It follows an old railroad bed on great trail, at least until you cross Lake Mary rd. north of Mormon Lake, this is Anderson Mesa. While the terrain is mostly flat on the mesa, if wet, it’s cookie dough. Avoid at all costs in wet weather!! Even when dry it’s not too fun as there are embedded rocks throughout the jeep road section. The singletrack still has the rocks but don’t worry, if you miss them – the post-holes from the cattle will get you. You’ve been warned. There is a nice overlook of Upper & Lower Lake Mary just south of the Marshall Lake trailhead. 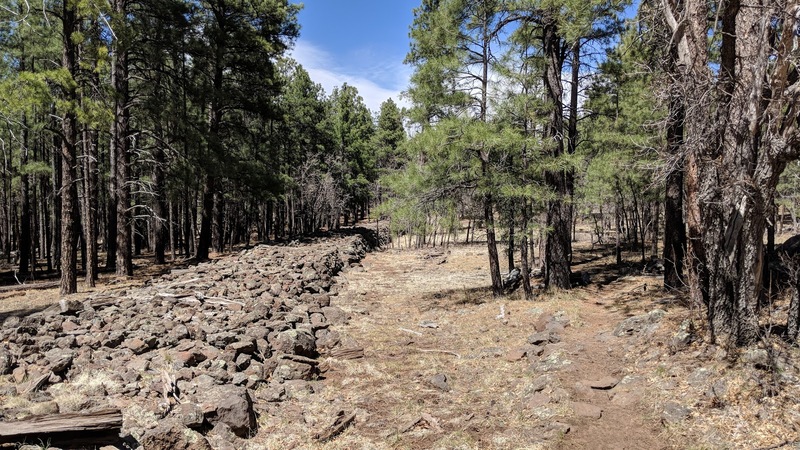 This is the first of 4 passages in the Flagstaff area. 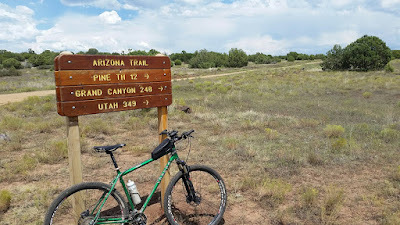 Most of this passage rides really well, just be warned if it’s wet, the first couple miles north of Marshall Lake and the segment between Walnut Canyon rd. & I-40 can become sticky mud!! The AZT splits near Fisher Pt., passage 33 veers off to the left for a re-supply option into town. Stay right on what’s known as the equestrian bypass towards passage 32 if a town stop isn’t needed or do both and make a loop. I typically ride this passage N->S, but that doesn’t mean it isn’t good the other direction. 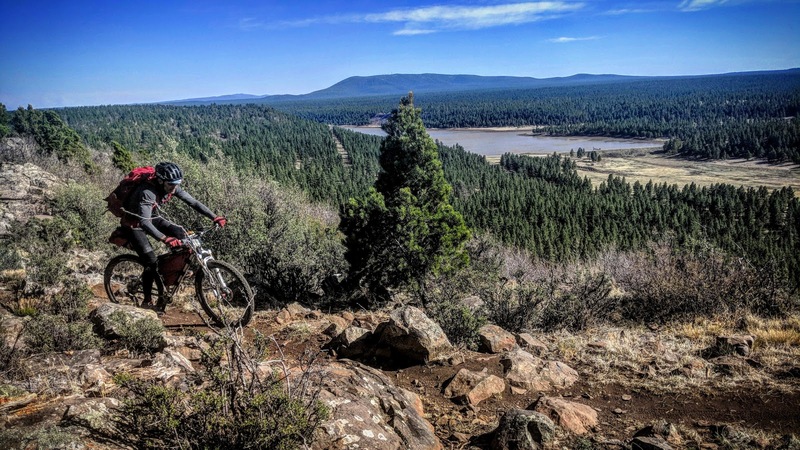 With the addition of the Flagstaff Loop trail it’s easy to incorporate this section of AZT into a day ride out of Flagstaff. This passage skirts around the north side of Mt. Elden. The southern section, roughly between the I-40 underpass and Sandy Seep, doubles as the Flagstaff Loop trail, great in either direction. The portion wrapping around Mt. Elden is best done in the southbound, downhill direction. 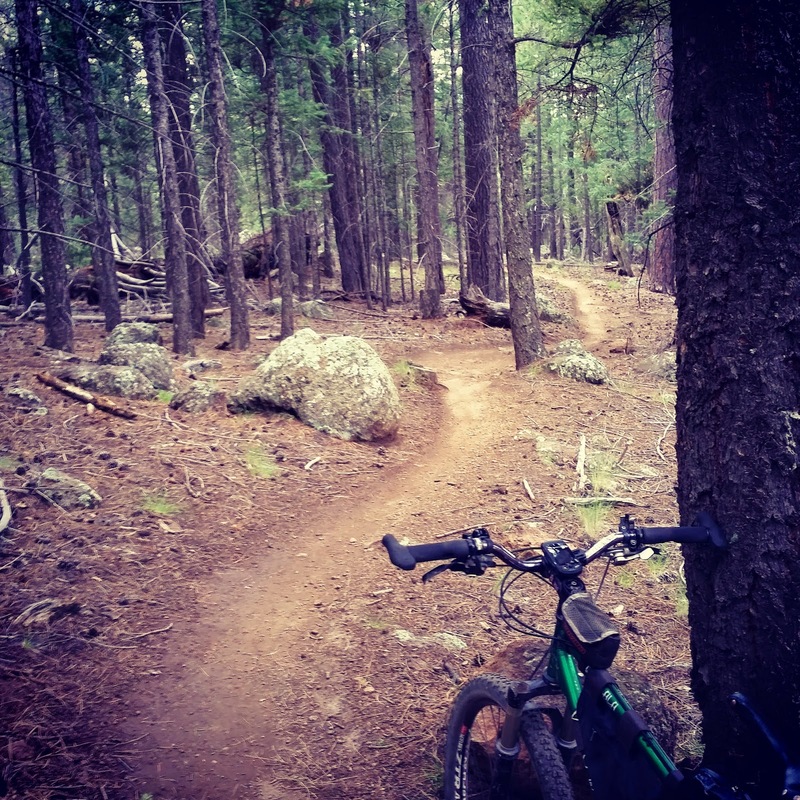 This passage brings riders to the heart of Flagstaff via the FUTS. Plenty of resupply options abound before returning to dirt near Buffalo Park. Some sneaky tough climbs are tucked into Rocky Ridge as the trail meanders towards Shultz Creek. The trail climbs about halfway up Shutlz Creek before splitting off and merging with passage 34. This is the longest passage of the AZT at 36 miles and a good portion of it is on fantastic forested singletrack. There are plenty of options for this passage, such as an Around the Mountain loop, shuttle drops at Aspen Corner or FR418 & many other loop options. 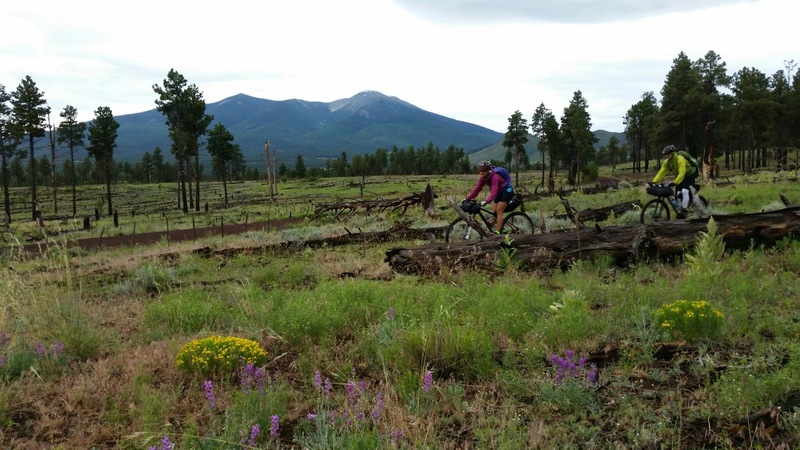 Most riders tend to stay south of where the AZT crosses FR418 on the north side of Humphrey’s Peak. There are roughly six more solid miles of singletrack heading north from there. Eventually, the singletrack dumps out onto a jeep road south of Missouri Bill Hill. Be warned, this is another area to avoid when wet!! 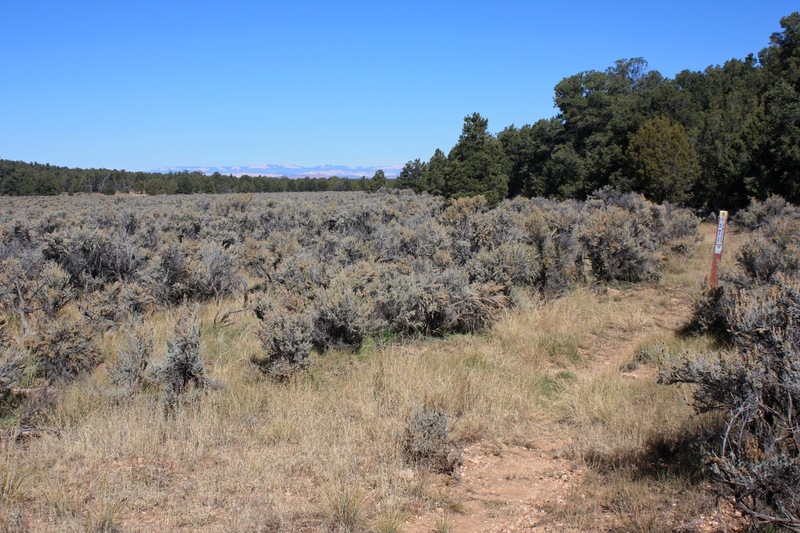 After passing MBH, the trail drops down into the expansive Babbitt Ranch area out of the pines. 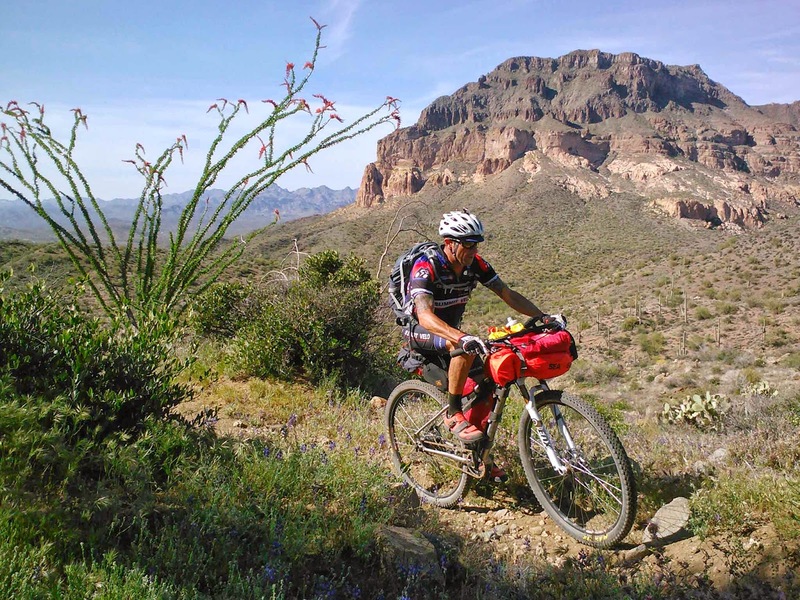 Ever wonder what it must be like to ride the Tour Divide? This passage will give you a taste. Wide open range along jeep road & double track make up the majority of the 25.6 miles. You’re bound to see more cattle/horses out here than people. 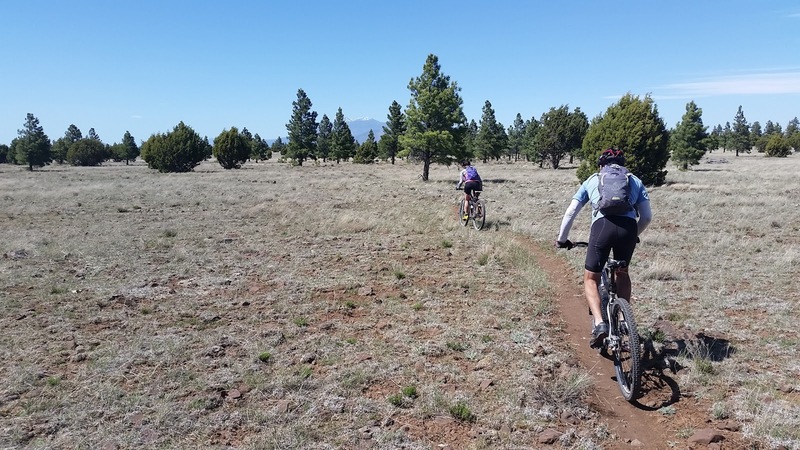 The final 5 miles of the passage return to singletrack, albeit the vague primitive type. 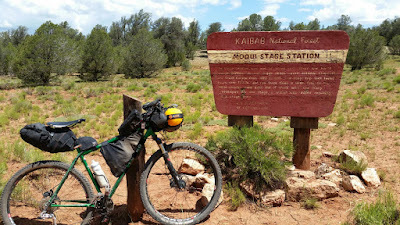 The passage ends abruptly at a trail intersection, where a ¼ mile off route is the historic Moqui Stage Station. (Go left, west, at the intersection to see a remnant of a well and the stage stop sign). This passage almost gets lost in the shuffle, falling between the great riding of Flagstaff and the wonders of the Grand Canyon. A return to forested riding as you pedal north, this passage has a bit of double track and some really good singletrack. 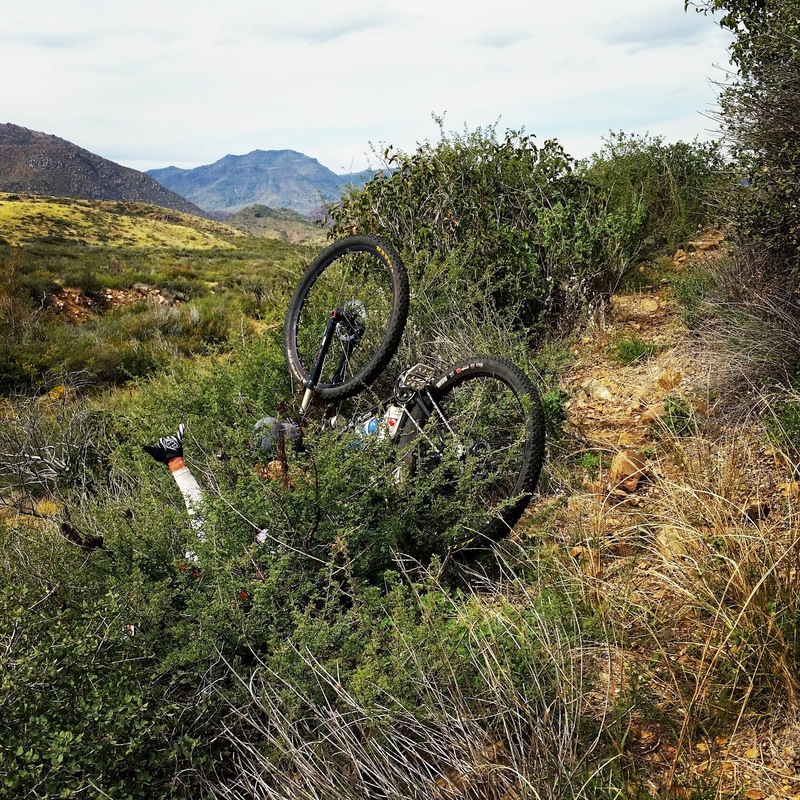 Riding northbound is slightly uphill and the trail can be a bit rubbly in places, so it’s no cake walk, but also not a total beatdown either. This passage offers the first glimpse into the Grand Canyon finishing off at the Grand View Lookout tower. Be sure to climb the tower for a cool view into the gorge. 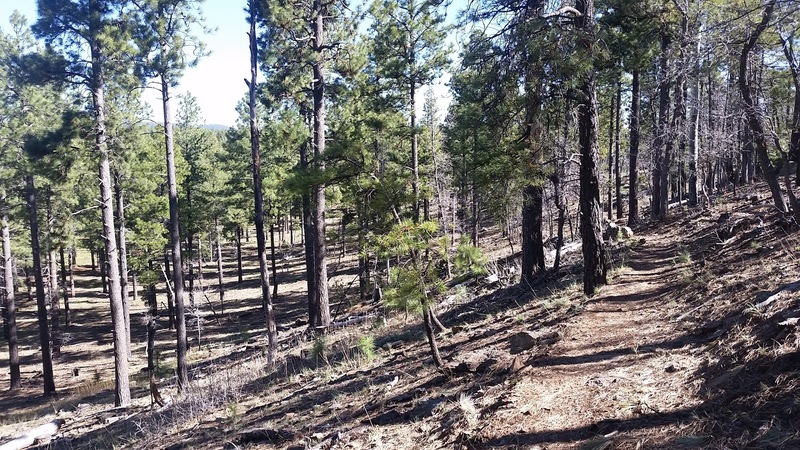 The first 14 miles west of Grand View trend downhill towards Tusayan on fast singletrack & forest road. Don’t blink, it’ll be over quick! Resupply in Tusayan if needed or continue into the park via a utility corridor. 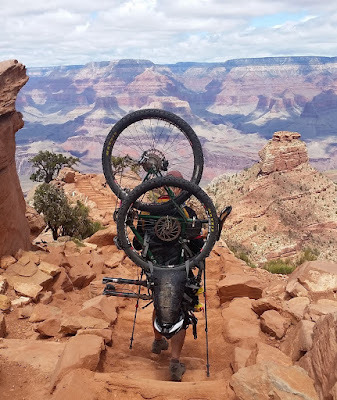 The trail crosses under SR64 a couple of times and returns to singletrack as it climbs gently towards the terminus at the South Kaibab trailhead. Stop and take it all in, it’s the Grand Canyon!! 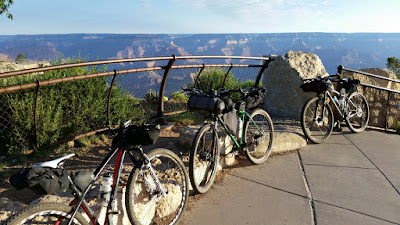 Bikes cannot be ridden below the rim at the Canyon, they are allowed under one circumstance: the wheels must NOT touch the ground. 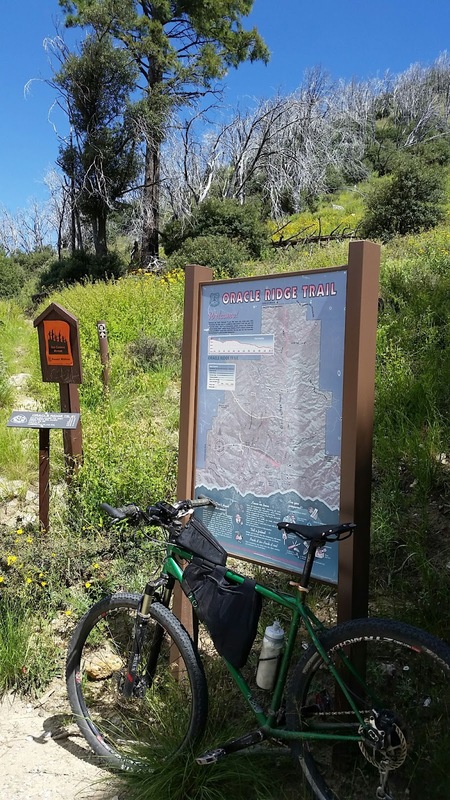 If you don’t want to pay for a shuttle service or ride the 220+ miles around the Canyon, disassemble the bike and attach it to your back then hike away. Most people who do this will do so during the AZTR750. 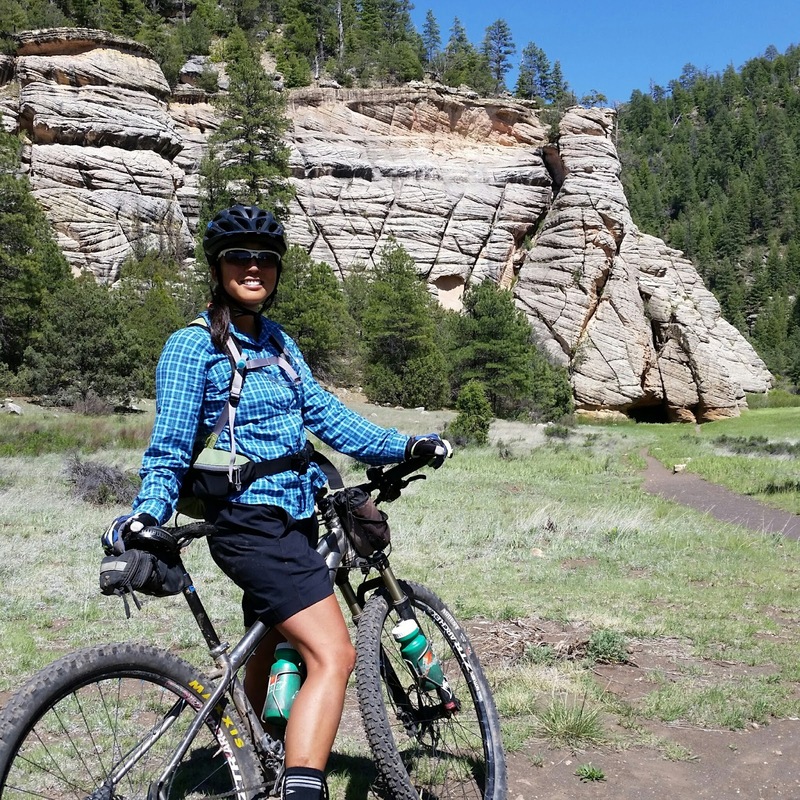 With or without a bike, the rim-2-rim hike should be a ‘must do’ on anyone’s list. Reassemble your bike at the North Kaibab trailhead OR an easier approach: spend some time on the north rim for day rides along the AZT or bikepack it to link a few sections together. This passage doesn’t really jump out at you to grab your attention. There are some fun bits, but most of it is within a utility corridor or slightly overgrown singletrack. The final downhill mile from near the North Rim Lookout tower is a blast ending this passage at the National Park boundary fence. The first of many alpine grassy meadows begins at the GCNP boundary. The theme of this passage is rinse, wash & repeat. 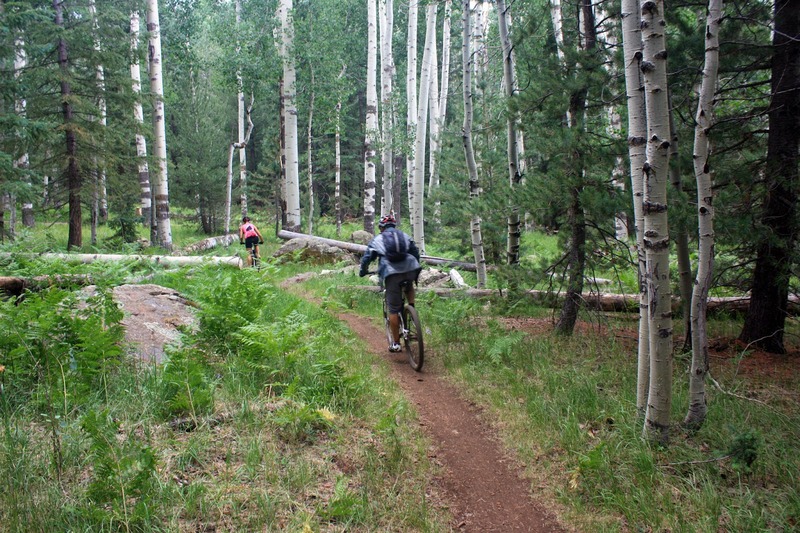 As in, ride through a meadow, HAB up into the forest, ride great wooded trail and descend back into a meadow. Another highlight of this passage is the East Rim overlook. The trail skirts the cliff edge next to the Saddle Mountain Wilderness for impressive views to the east. 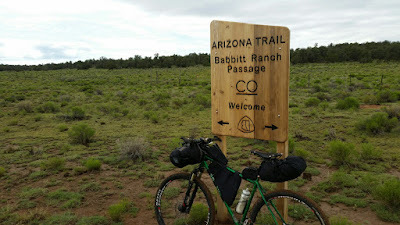 This passage begins with a nice AZT HAB up Telephone Hill. 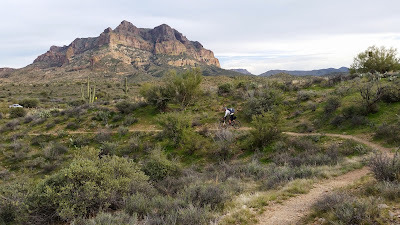 The trail follows AZ67 closely for a few miles as it enters an old burn area. The singletrack through here contours the hillside and is generally fast and flowy. There’s one large drainage requiring a 15 minute HAB out, but otherwise the trail is very bike friendly. The burn area subsides and the singletrack dumps out into a small canyon where a jeep road takes you mostly downhill to the junction of US89A. Plenty of good camping options near the end and a short spin off route for resupply in Jabob Lake is only a mile or two away. IMO, the final two passages are highly underrated and ofter overlooked, probably due to their location. Riding northbound on this passage is about as easy and fun a ride as can be had. The terrain is mostly level to downhill through the forest. Scrubland begins to appear near Government Reservoir as the trail continues to be fast through the smaller vegetation. At 10.8 miles Buckskin Mountain is the second shortest passage, but it’s one of the more memorable ones. While this passage completes the AZT into Stateline CG on the Utah line, there are a few punchy tech cllmbs along the way. 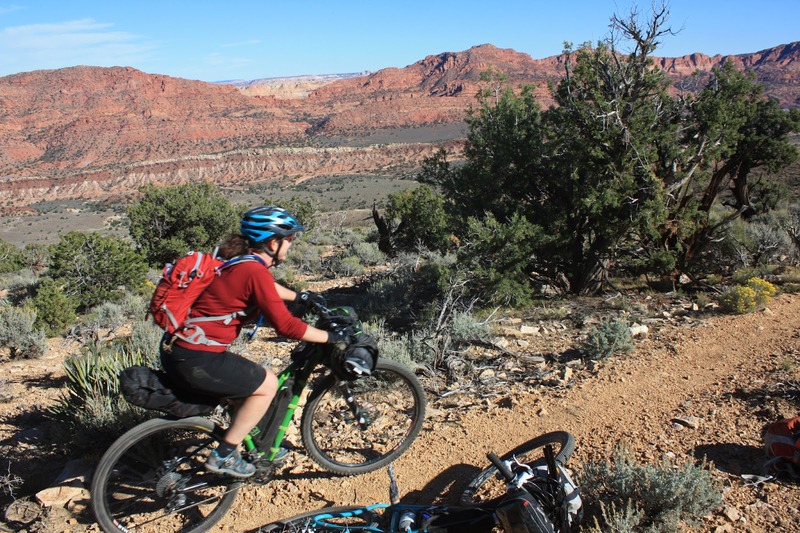 The sight of the red Vermilion Cliffs is something every mountain biker should witness. 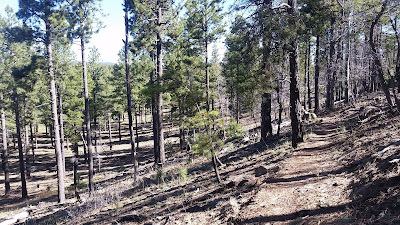 The final miles of trail drop off the Kaibab Plateau on what appears to be a dizzying array of endless switchbacks losing 1200’ of elevation. In reality, those switchbacks are large rounded curves! What a way to cap off a great ride. 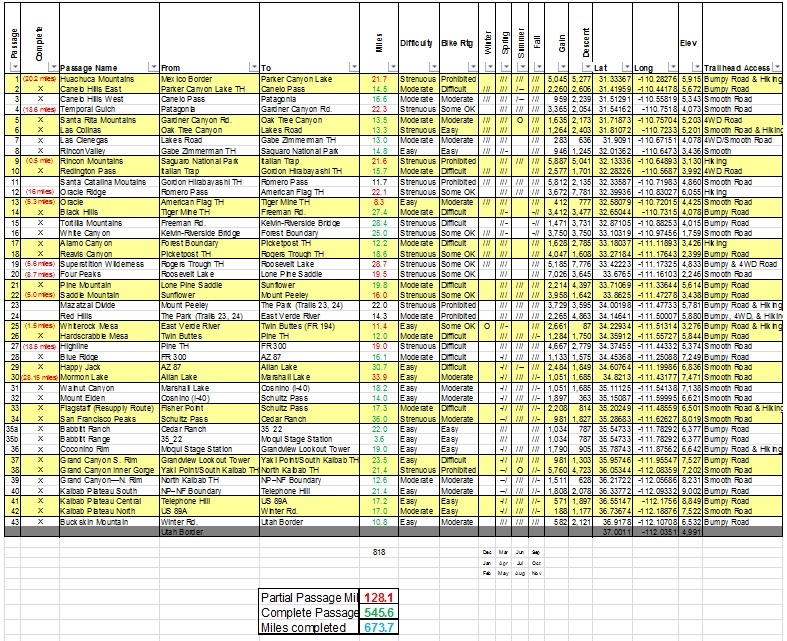 Screenshot of my current totals. 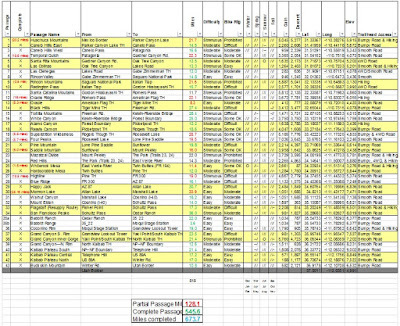 Blank spreadsheet may be downloaded here. Courtesy of my co-worker, Rob. what bike set up did you run? i see a voodoo but what spec.? It's a Voodoo Dambala XL, 29er hardtail. This post was done over a series of rides taking about 4 years bit by bit. This past April I rode the AZTR750, check my post for more details. Thanks. 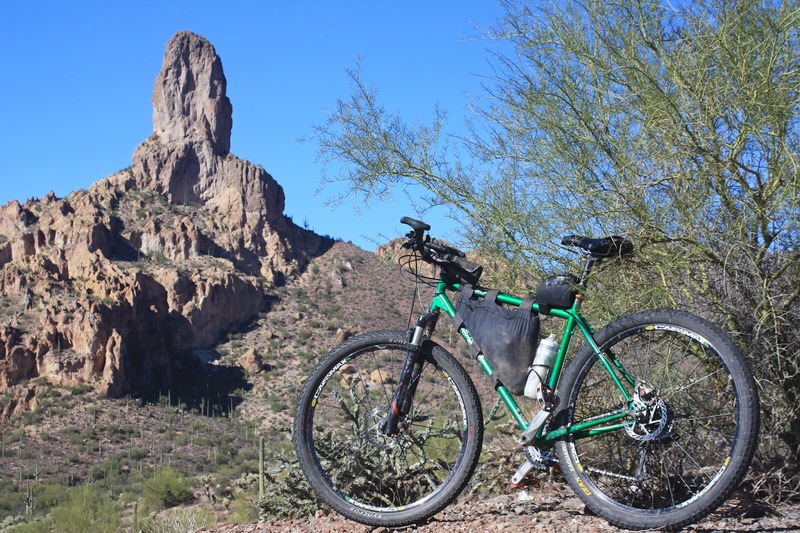 We are collecting images for a new book that talks about backpacking the Arizona Trail. Do you have high-resolution photos from your trip that we might consider? Please contact vhopewell@competitorgroup.com. Thanks! 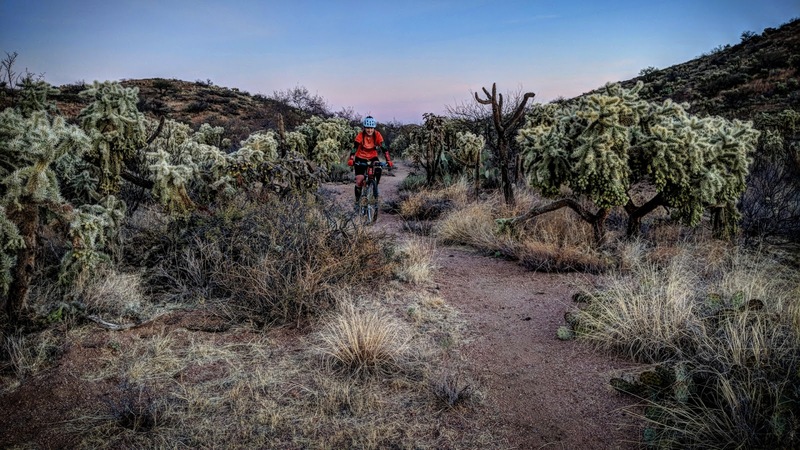 If you're new to Arizona of Utah and this whole region of the world like me, and fairly active, this is a great trail to get accustomed to doing cardio in Arizona outdoors.Thank you very much for sharing this post. 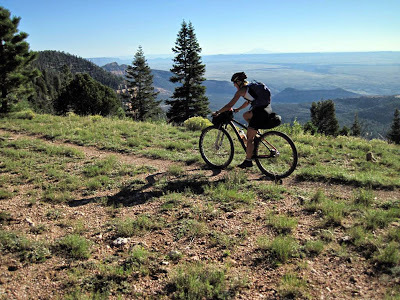 Get more mountain bike reviews tips Click here. Congratulations on the ride and the blog. Would it be possible for you to repost the excel spreadsheet? I was unable to download it from the link and the image is not very high quality. Thanks, Luis. Hey Luis, sorry for the delay, I didn't see your comment until now!! Gah! I updated the link, so the file should be downloadable now. 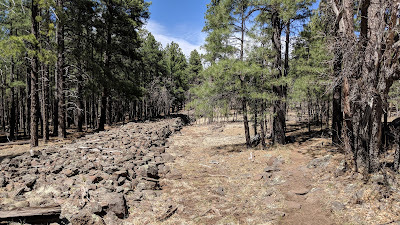 Keep in mind the ATA rearranged some Passages around the Mogollon Rim area, so that doesn't quite line up with the spreadsheet now. Not sure when/if I'll get around to trying to update it since I didn't make the original file.